Empowering Counseling & Therapy, LLC offers counseling to individuals and couples looking to improve the quality of their lives personally, professionally, academically, spiritually, and within relationships and families. 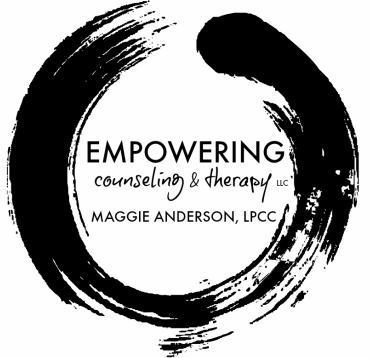 Maggie Anderson, LPCC, founder of Empowering Counseling & Therapy, provides a safe and supportive space, which encourages clients to gain self-awareness and to feel empowered to make positive changes in their lives. Maggie is committed to guiding you through counseling and therapy to reach emotional wellness and personal fulfillment. She combines compassion and acceptance, with honesty and encouragement, to give clients the freedom to express their deepest concerns. Your personal information is always handled with extreme care and respect. Empowering Counseling & Therapy holds confidentiality in the highest regard, so you can have peace of mind and trust in sharing your concerns. Begin your journey to make change by contacting Empowering Counseling & Therapy.